Short ribs. Delicious, fall off the bone short ribs. That is what I made yesterday. I found a few recipes online but they all seemed to be missing that something I was craving, so I decided to venture out into my own culinary mind and hodge podge ingredients from my garden. Heat about 1-2 TB of coconut oil in a dutch oven. 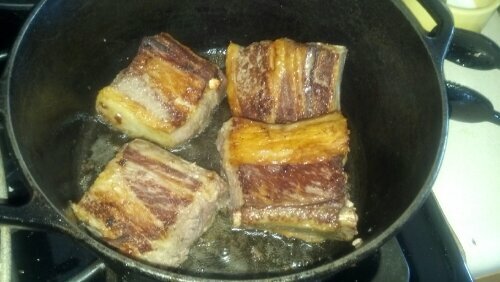 Brown the short ribs in batches, making sure not to crowd the pan. Set meat aside. 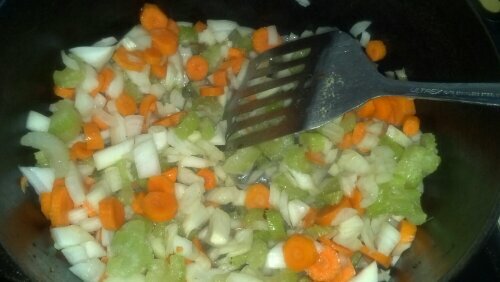 Dump the onions, celery and carrots in the pan, scraping up any pan drippings from the beef. Saute until onions are translucent and beginning to brown. Add the garlic powder and cook for an additional minute or so. Now comes the fun part. 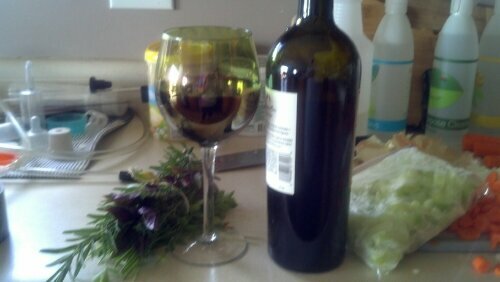 Add the wine, but pour yourself a glass first. I used the Homestead Red we bottled earlier this week. YUM. 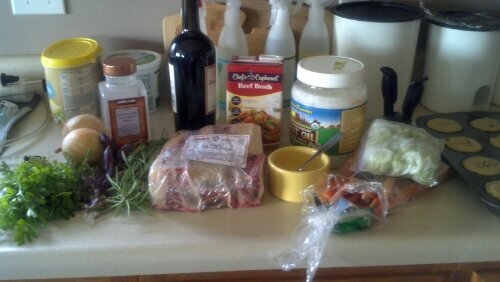 Then add the stock. 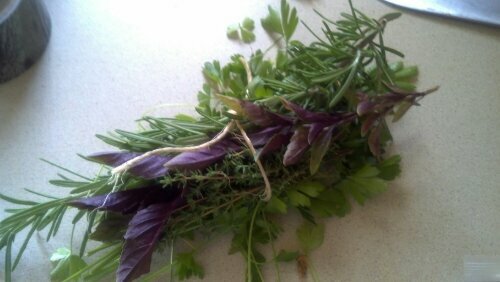 Finally, tie the rosemary sprigs, basil, parsley and thyme together with kitchen twine and add to the pot topping off with the pepper and salt. Bring to a boil. Simmer for a few minutes and then place the short ribs back in the pot, submerging them in that aromatic stew. Cover the pot and place in the oven. Let braise for two and a half hours. 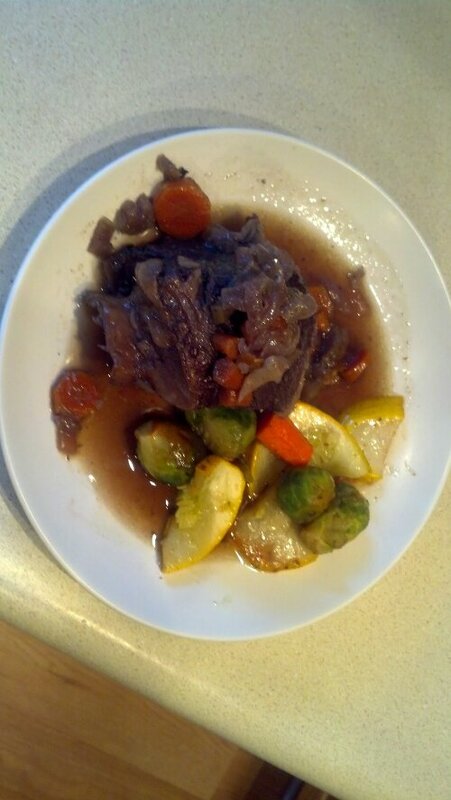 I paired the meal with roasted pattypan from my garden, brussel sprouts and carrots. The juice from the braised ribs soaked into everything on my plate. It was delicious.